If you are interested in being an iPerform Intern for the 2016 season, please apply here! This year we have chosen a group of kids to be our interns and help out with various aspects of iPerform so they can learn and lead throughout our 2015 season. You can find bios and positions for our very talented intern team below! Hello! 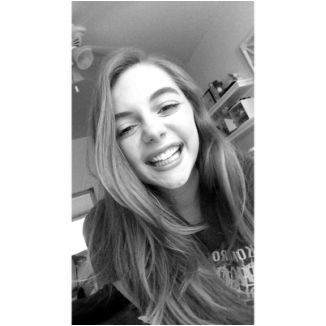 My name is Frankie Buettner, I am twelve years old, and I attend Open Word Learning School and will be going into seventh grade. I have been given the role of helping Molly and Cristina with the budget, website and email for this year's season. This is my sixth year in iPerform. iPerfom has taught me many things, such as leadership, making new friends, and developing me as a actor. I look forward to a new season with iPerform and what it will bring! Hi! My name is Sean Corrie and I am currently being trained to takeover as Stage Manager next year. I am 12 years old and I will be attending Capitol Hill Magnet in the fall for seventh grade. This will be my sixth year in iPerform and I am honored to be participating in keeping the iPerform tradition going. Being a part of iPerform has really grown me as an actor/singer and I'm always learning new things each season. I hope that next year I will be doing just as good of a job as Cristina and Molly are doing right now! I can't wait to start a new season! Hello, my name is Jackson Humes, and I am on executive committee to help where needed. I am 12 years old. And I will be attending Ramsey middle school in the seventh grade. This is my sixth year in IPerform and I am excited to continue and grow in this organization. This is been a very fun and exciting organization to be in and I am marveled to see how much it has grown from Cristina's backyard to an entire company. My favorite play so far has been Disney For President because it was fun to do and it had a very exciting/fun plot. Hi, my name is Freya and I'm apart of costumes, makeup, hair, and advertising/marketing. This is my sixth time with iPerform and I love it. I am ten years old and will be going into fifth grade at Mounds Park Academy being apart of iPerform has been really helpful with making new friends, learning, and creativity. I will continue to act and help out with iPerform for as long as I can! Hi, my name is Nicole Vessel, I am a costumer and assistant administrative director. I am 12 years old and I am going to trinity school tho fall for seventh grade. This will be my second year in iPerform and I am overjoyed to be helping continue this awesome camp. iPerform has helped me grow in my acting. It has also made me a better friend. Because of iPerform I have made lots of new friends. I am looking forward to the present and future plays. Hi, my name is Megan Raths and I am apart of the Costumes/Makeup/Hair team for iPerform Theatre Company L.L.P. I am 14 years old and have just finished at Maternity of Mary St. Andrews Catholic School and will be attending Roseville Area High School in the fall. This is my sixth year with iPerform, and instead of being in the play, I'm going to be apart of the Costumes/Hair/Makeup team. Being a part of iPerform has helped me become a more responsible person. When I joined iPerform I was one of the older kids in the theatre company so I had to step up at times and be the responsible one. I love to be able to say that I'm apart of the iPerform Theatre Company. Hi, my name is Maddi Wald, I'm 14 years old and I'm a part of costumes/makeup/hair. This will be my second time being a part of iPerform. I just graduated from Maternity of Mary Saint Andrews Catholic School, and will be attending DeLaSalle high school year. iPerform has taught me a lot about leadership, creativity, and setting an example. There is an endless amount of fun with iPerform. I've met so many amazing people and have made so many memories. Being a part of iPerform is a great experience I'll never forget. I can't wait to see what's in store this year! Hi, my name is Sophia Lancaster and I am apart of Costumes/Makeup/Hair. I am 12 years old and I go to Murray Middle School. This is my second year in iPerform, and I will help brainstorm costume designs and work on makeup and hair for the play. 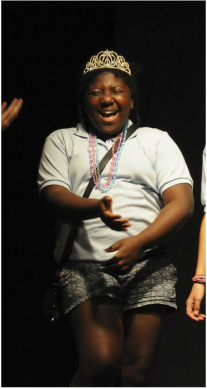 Being a part of iPerform has helped me become a better leader, actor, and friend, and It has helped me so much and made me laugh and smile. All those are reasons I love being a part of iPerform.